Moving to a smaller space that requires less maintenance can be a stressful time for the entire family. The details of downsizing, packing and unpacking become exhausting and overwhelming. At Practical Solutions, we understand and tailor services to fit your special needs and abilities. Our highly trained, compassionate, professional organizers will guide you through the physical and emotional process at a pace comfortable for you. We take care of the details, so when you arrive at your new home you can relax and enjoy the lifestyle you desire. Complimentary Consultation - At no charge to you, we conduct an consultation to develop an overall relocation plan and let you know how we can assist you. Floor Plan Design - To help you decide what furniture will work best in your new home, we offer space planning where we help you place your furniture in the new floor plan. ​Downsizing - We help you sort through your belongings and decide what to take to the new home. We can even arrange for excess items to be distributed to family members, sold or donated to charitable organizations. ​Moving Resources - If you need movers, cleaning services, realtors, handymen, estate sales coordinators, or any other services, we can help you find qualified companies that you can depend on. Pack - The contents of your home are professionally packed, with care. Move Day Coordination - Moving day can be stressful. We can manage the moving of your processions by qualified movers so that you can relax, knowing the details are being handled. ​Unpack - ​When unpacking your belongings at your new home, we create an organized, tranquil home environment where you are surrounded by the things you love and cherish. The evening of the move, you will be completely unpacked, enjoying your organized home. Tired of clutter cramping your lifestyle? We help create an organized, safe environment in your existing home where you are surrounded by all the things you love enjoy, without all of the excess. It’s empowering to make your own decisions about belongings while you are still healthy and not leave a burden for family. We provide the physical and emotional support needed to go through every area of the home, letting go of what is no longer needed. We ship items to family members, find reputable companies to sell items, and connect with charities who will cherish your donations. Emptying a house after someone has moved out or passed away can seem overwhelming. We use our expertise to help sort out the home and get the most for the unwanted items. We also make sure important financial paperwork, family photos, and heirlooms are found and that unwanted paperwork is properly shredded to protect the identity of the owner. We have trusted partners to help you get the most money for the items in the home. Your can trust our staff to look out for your best interests while emptying out the house in the most efficient manner. We are members of the National Association of Senior Move Managers (NASMM) and the National Association of Professional Organizers (NAPO). We are bonded and insured for your security. To find out how we can help your move become a reality or to schedule your complimentary consultation complete the form below. Practical Solutions serves the Inland Empire and surrounding areas Southern California. We help seniors downsize to move into a smaller space, declutter while staying in the home, and we can even help empty the home after someone has moved out or passed away. 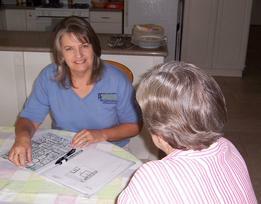 Check out this page for additional resources on assisted living options in Redlands: https://www.senioradvisor.com/redlands-ca, and this page for more options in the greater Los Angeles area: http://www.aplaceformom.com/los-angeles-senior-living-resources.